Happy Birthday Jessica! Chocolate PB Cake! We celebrated our baby girls birthday today with our family and some of her friends. We are very proud of the woman she has become. She is a sweet, compassionate, sensitive woman with a heart for others... but she will always be our baby girl! Jessy turned 22 on March 27th but because she was in Austin Texas for a conference on her birthday we had to celebrate a few days late. Of course I will make whatever the birthday person wants for their birthday dinner and Jessy's is usually the same every year, and like most years she chose Lasagna and Chocolate Peanut Butter Cake. The chocolate peanut butter cake is rich, moist delicious treat, with decadent layers of creamy peanut butter goo, between yummy chocolate peanut butter cake topped with chocolate peanut butter frosting... sprinkled with Reese's peanut butter cups... and if that isn't rich enough for you with a little scoop of fudge peanut butter ice cream on the side! It is super easy and you would never know it all started from a cake mix! Directions: Bake as directed in 2 8" or 9" round cake pans and cool on racks when cooled, cut each cake in half to make 4 rounds. While cake is cooling make the filling in medium size bowl, mix softened butter, peanut butter, confectioners sugar, milk and vanilla together until smooth and creamy. When cake is completely cooled and sliced spread a little filling on the bottom of a round cake plate and place 1st layer on top (this will help it from sliding.) Spread top of 1st layer with about 1/3 of pb filling. Continue with other layers spreading 1/3 of pb filling between each layer. Mix 1 can of chocolate frosting with 1/3 cup peanut butter and frost the entire outside of cake. Top with chopped or mini peanut butter cups to decorate. Serve with ice cream for a decadent birthday treat! Cooks Notes: I have made these into cupcakes and used the filling to pipe in the center of each cupcake and then frost. Top with 1/4 peanut butter cup on top of each cupcake to decorate! mini cups but regular peanut butter cups are fine too! This cake is always a big hit... there is never too many leftovers! She had fun helping Jes open her presents too! Wes and John... these two have been buddy's since birth! 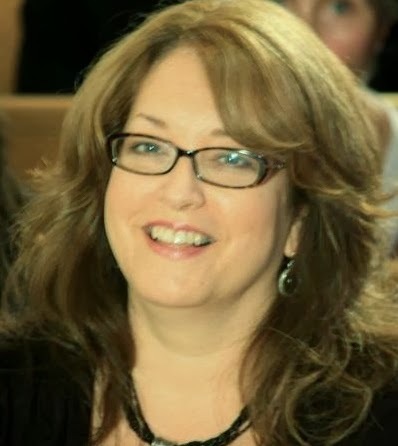 We enjoyed a nice afternoon catching up, hearing about her trip to Austin, and celebrating her 22 years with us! She was really surprised by Desi's visit! What a blessing it is to share these special day's with people we love! Oh my goodness! I have been wanting to make these delicious looking cookies ever since I saw a picture of them. If you love cinnamon rolls (and who doesn't? ), you are sure to love these lovely little cookies. The aroma alone while they are baking is worth it! Directions: Mix cream the sugar and butter. Add eggs, vanilla and sour cream until well combined. Slowly add in the flour, baking soda, baking powder and salt until well combined. In 2 batches, place in plastic wrap in a disc shape and chill for at least 2 hours for best results. Once chilled, cut each disc into thirds and roll into a 1/8 inch thick oval, about 12 inches X 5 inches. 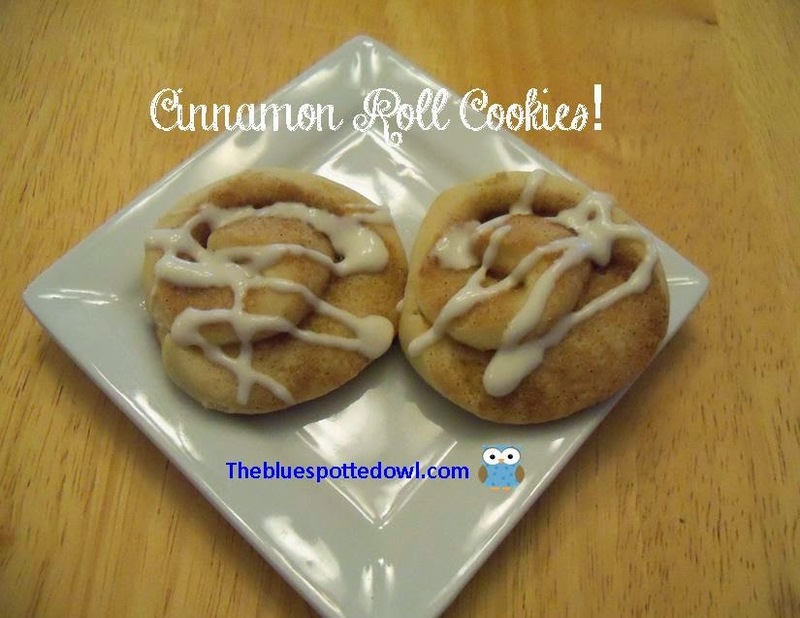 Spread each rolled pieces of dough with 2 Tablespoons softened butter, 1/4 Cup packed brown sugar and 1/4 teaspoon cinnamon. Start rolling from the long end closest to you, rolling into a log shape. Using a sharp knife, cut 1/2 inch pieces of dough then placing onto a parchment lined baking sheet. Bake at 350 degrees for 9-11 minutes. Remove and let cool for 5 minutes before removing from baking sheet. To prepare frosting, beat the cream cheese until softened and smooth, slowly add powdered sugar and milk until desired consistency. Frost cookies then place in refrigerator until ready to serve. Cooks Notes - I made the entire batch of dough, but could see it was going to make a ton of cookies, so I decide to freeze one of the discs of dough, along with 1/2 the icing to make cookies another day. The one disc, yielded approximately 54 cookies! Next time I make them I think I will make just a regular powder sugar glaze and skip the cream cheese. Even though they were delicious, with the cream cheese the cookies should really be refrigerated and I like to fill my cookie jar on my counter instead! Roll into a 1/8 inch thick oval, about 12 inches X 5 inches. Look at those lovely little cookies! and bake sometime I need something quick! Olga's bread is the best. It is a soft kind of sweet yeasty flat bread that is used to make a pita type sandwich sometimes served with tzatziki sauce. It is always a treat to eat lunch at Olga's when at the Mall. But how fun is it to be able to have an Olga's sandwich at home whenever you want! I made some several years ago and my family loved them. They were super simple to make and this weekend when I scoured through our most recent church cookbook I came across this recipe and thought I would give them a try again. 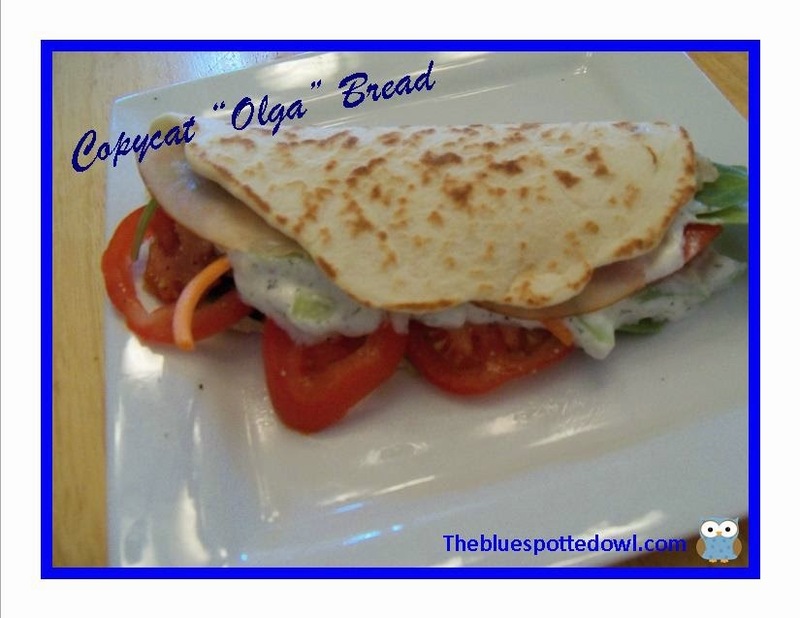 The recipe was submitted by a mother daughter duo, Carol McFall, and Julie Ureste, who are both beautiful, talented, women, and they said they don't mind me sharing their recipe for Olga bread with you! Directions: Scald milk and remove to large bowl. Add honey, butter and salt to milk and stir until butter is melted. Set aside to cool. In small bowl add yeast, warm water and sugar. Stir until sugar dissolves and set aside to cool. Add 1 1/2 cup flour to milk mixture and beat well. Beat in egg and yeast until thoroughly combined. Add remaining 2 1/2 cups flour a little at a time until dough is sticky. Knead on a floured surface for 2 minutes. Place dough in oiled bowl and turn once. Cover with plastic wrap and let stand in warm place until doubled in bulk. Punch down dough. Divide into 16 pieces. Roll each in a 10 inch circle. Heat a large dry skillet over medium heat. Bake each circle 15 seconds. Flip and bake other side 10 seconds, until brown spots appear. Do not overcook. I don't have very good luck with raising bread in a "warm spot"
I usually tent it to keep the heat in and this helps speed up rising! When the dough is doubled in size you are good to go! Look at that delicious bread! Directions: Combine olive oil, vinegar, garlic, salt, and pepper in a bowl. Mix until well combined. Using a whisk, blend the yogurt with the sour cream (I used fat free Greek yogurt and low fat sour cream). Add the olive oil mixture to the yogurt mixture and mix well. Finally, add the cucumber and chopped fresh dill. Chill for at least two hours before serving. Wonderful served with pita bread, pita chips, veggies, or as dressing for a sandwich. Mix the olive oil, garlic, onion, vinegar, salt and pepper in one bowl. Dice the cucumber in small pieces and add to the mixture. I used 1/2 of an English cucumber so I did not seed. I only had dried dill and it worked fine! dressing for a delicious sandwich made with your fresh baked pita bread!